The Taell’as Hierarchy stands as the sole superpower of Terraineus and governs its lands via the councils of the Taell'as United Hegemony. The oldest known city of the world by a day, the sprawling megacity of Taersus is the largest in area size and possesses the majority of the Hierarchy’s population (83%). At the heart of the capital sits the ivory seat of power: The Imperial Palace of the Emperor. Taersus is mostly self-sufficient, but imports materials from its colonies via the harbour and docks of the waterfront. Many of the Hierarchy’s critical administration structures are located here. A mostly agricultural colony, it is located on the strategic eastern coast of Avalar’s Autumn Plains. It serves as the threshold between the Hierarchy homeland and the Ythkaith Ocean. Home to a relatively small population but renowned for its annual pumpkin growing contest, it is a mostly out-of-the way town that among many, struggles to satisfy the Hierarchy’s insatiable desire for resources. Directly fed by Taersus’ harbour district, Tesremmus has the greatest output of local lumber for the Hierarchy. Positioned in Summer Forest and heavily protected by local and natural defences, it is well defended from the wild-life that lurks on the frontier. Completely surrounded by conspiracy and myth, its actual existence is a hotly debated topic. Legends state that Nevah is the most well defended and hidden colony of Avalar. Despite what tales say, Nevah swears fealty to the Hierarchy in return for its secret hiding place to remain so. It is not connected by any known road network and is not recorded on public maps. Found at the end of the Yuellas River, Edisrevir is another of the Hierarchy’s resource production colonies that feeds Taersus City directly. Archaeological activity is the highest here at Edisrevir and it is believed to be one of the oldest cities of prehistoric Avalar. Capital of Chramwons and former capital of the dissolved Union of Archaedus, Sudeachra is one of the oldest cities in existence and its history is permanently stained with bloodshed and conflict. Strategically positioned at the southern coast of the Grand Ocean, it makes for an excellent trading post between the Tirtiuga Republic, the southern reaches where the Federation Fortress Korval is found and with the Hierarchy mainland. Sudeachra is responsible for a critically significant amount of Avalar's food supply; anything from grains, wheat, bread, watermelon, nuts and barley. Archaedus' iconic pumpkins are still grown here. The once conflicting cultures of mainland Avalar are assimilated under the Taell’as banner and serve the Hierarchy under specialised castes. - Underlings: Low class workers, builders and traders. Forms the base of Avalar's populace. Widely known for amazing musical talent and legendary parties. Moral boosts for the weak. Only the strong are deserving of the Hierarchy's benefits. - Scribes: Literate, medium class citizens. Historians, scientists and the like. -Elite: Wealthy, influential figures dominates the Hierarchy. Stereo-typically known for being excellent hunters and warriors. Those worthy enough to rise and meet this honorable title inspire fear and respect to lower beings. The military forms the basis of this caste. -Nobility: Upper class society. Forms the lower ranks of the Hierarchy itself. Weathy families often fulfill the requirements to be recognized as 'noble' and are deserving of this position. -Echelon: Royalty and renown on seats of power. Only Grei possess the strength and honour of Echelon. -Hierarchs: High rulers, icons for those below. Avalar is a beautiful place. Though, most of the government developments are made on the main cities, particularly Taersus City. Gardened cities dot the landscape - this is a mask for the lie beneath. A significant amount of the Taell'as population live in slums and suffer poverty. The appalling living standard skyrocketed at the beginning of the Midday Civil War. An entity known only as 'Echelon' staged a coup attempt against the Taell'as Hierarchy with the firm belief that they are the true ruler(s) of Avalar. The Templar of the Order of the Holy Flame rallied to Echelon's cause as an excuse to openly attack members of the Inquisition. Praetor Yuellas was absent during the civil war and was assumed murdered as a direct result of the coup. An epoch of fighting passed and a new leader emerges - Emperor Zyro Yuellas. The mere return of the lost Praetor put the Templar in their place and almost all traces of Echelon disappeared. It was once believed that the unnatural energy emitted from the Electroll’s machinery caused the Moon to turn blue. While the Electrolls knew that they weren’t the cause, they used the advantage of attacking a bedazzled stronghold which is now Taersus City. The Blue Moon celebration has a history of war meetings being planned on this day. The Blue Moon Celebration occurs every thirty lunar cycles. Is the international spokesperson for the Taell’as Hierarchy and is in charge of Avalar’s diplomatic affairs. He is calm and collected, but possesses an ominous aura that threatens whomever he meets - enemies and allies fear him alike. Very little is known about The Ambassador as opposed to his acute awareness of his surroundings and fairly detailed intelligence of happenings and people. His identity is unknown and he is further hidden behind a dark, hooded robe. Is the supreme commander of the Hierarchy’s armed-forces. Much like the Emperor, he is ambitious and snobbish. Unrivalled in combat and an excellent tactician, he firmly believes that he has no match and by exterminating the enemies of the Hierarchy, he is making the world a much nicer place. Ythkaith is never seen without his silver battle armour and is always expecting trouble. 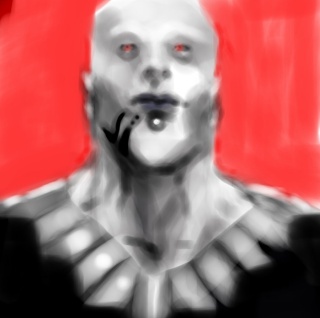 One of his greatest achievements is the personal apprehension of the Mad King, Ki-an Richter Krieghund in the catacombs beneath Taersus City during the Third Dynasty Incident. He carries a fine Summer Forest-crafted steel-bladed scythe that represents his absolute authority and “hungry” persona. Different actions will effect relations with the Taell'as Hierarchy. A higher point count will reduce the chance of conflict and open friendly relations with Avalar. Keep in mind, relations are highly dependent on reactions to your attitudes and doesn't reflect personal opinion. The Hierarchy desires building resources above all. The Taell’as Hierarchy does not have a resource-consuming prisoner population. Every resident of Avalar must contribute to society in some way. Punishments for criminal offenses only include community service, banishment or execution. Torture is a frequent method of obtaining truth out of liars. Since lying is a serious taboo, it is harshly dealt with; tongues are cut off, people are either forced to work in mines or are sent to one of the many resource processors of the Hierarchy to be deconstructed. Religion is mostly prohibited, but worship of Robal, the god of work and commerce is accepted and shrines are built in its honour. Worship of pre-Hierarchy celestial beings; the Sun Goddess and Moon Goddess are allowed as long as devotion and loyalty remains in the Hierarchy’s favour. There is a statue of the Sun Goddess in the Imperial Palace. The Hierarchy's holy animal is the cow. Avar is the god of magical phenomenon and the unknown. Kronos is the god of strength, honour and passion. Economic inequity is vast within the Empire. Life of the civilians of the low castes is dystopian in nature and famine is a common part of everyday life. As much as two thirds of Avalar’s population live in poverty. The ‘valued citizens’ of the Hierarchy work tirelessly all day and night to harvest resources to fill their masters’ bottomless stomachs. There are no clinics to speak of and there are only a handful of education centres. The literacy rate of the population sits steady on 42%. Though many different races live in Avalar, they have all been assimilated and indoctrinated to accept the traditions and culture of the Grei whose origins are murky at best. A stubborn warrior race with strict codes and law, the Grei serve as overseers of the Hierarchy and its operations. Fully translated, the forces that make up the Hierarchy’s army consist of the First Army, Second Army, Third Army, Fourth Army and Fifth Army. Each has its own specialty and exclusive resources. The First Army is used for homeland security, Second and third is used off-shore. The Fourth army is the most well equipped and best trained. They are used for operations of the highest importance. The Fifth Army possesses the highest number of troops and is used for major pre-emptive strikes. Within the army, troops are given a special job to perform. This is their rank. Grunts form the bulk of the military and serve as the unlimited hoard of minions. Most are conscripts, poor farmers or militia. They are lightly armed and poorly trained. They are trained in the thousands. Praetorians serve as the bloodline of the Hierarchy battalions. Adequately armed and highly trained. They are well disciplined in the management of pain and emotion. Praetorians are elite troopers who serve as field commanders and body guards. Well refined iron and in rare occasions, steel armour is the norm. There is never more than a dozen per group. Hunters are the sharpshooters who cover the army’s flanks and rain hell upon the Hierarchy’s foes. Armed with either a longbow or short bow, they are skilled crack-shots and well suited for long-term survival in hostile environments. Useful guides and scouts, armour consists of simple leather for easy travel and form teams or detachments of hunters from at least two to eight. Praxis Guardians are over-powered, high ranking warriors that characterise the Imperial Honour Guard. They only operate in the First and Fourth Armies. Each is personally hand chosen by Hierarchy Leadership and blessed by the Emperor. If they are ever deployed, this means that the Hierarchy is truly serious and have raised personal interests in matters. Praxis Guardians combine the skill of hunters and the glory of praetorians into a single, deadly entity. There are under a hundred Praxis Guardians that are currently active. SkoRm’s military force present south of newly named Sudeachra has paralysed Hierarchy decision-making. On the 626LC, the Taell’as Hierarchy fracture begins, granting birth to two sub-factions; The Crimson Guard and Avalar Combine. Disputing perspectives begin to lash out at one another; however the Imperial Honour guard prevents any attempt of large-scale civil war. The Hierarchy still has a tight firm over their stranglehold of Avalar and the Grey Famine is also affecting any mobilisation effort by either of the factions. is made up of loyalists who wish to stay true to the Praxis and want to remain in isolation from the rest of the world to inhibit the defiling effects of globalization. Battle is now a considerable option they have the resources to fuel the rage of war. They are the more powerful of the two factions in terms of military, economic, and political support. Their home-base is Taersus City. The Ambassador is the commanding officer. Chtawtsae and Sudeachra support the Crimson Guard’s idealism. wants to avoid war at all costs. In order to do so, they wish to improve diplomatic relations, open borders and encourage trade and research pacts. The Combine opposes the positioning of military forces in Sudeachra, in fears of the result of long-term attrition. Communal out-reach is the core goal of the Combine and eventually; to create a peaceful union of people. Their home-base is Tesremmus and they are led by Grand Marshall Syn Ythkaith. 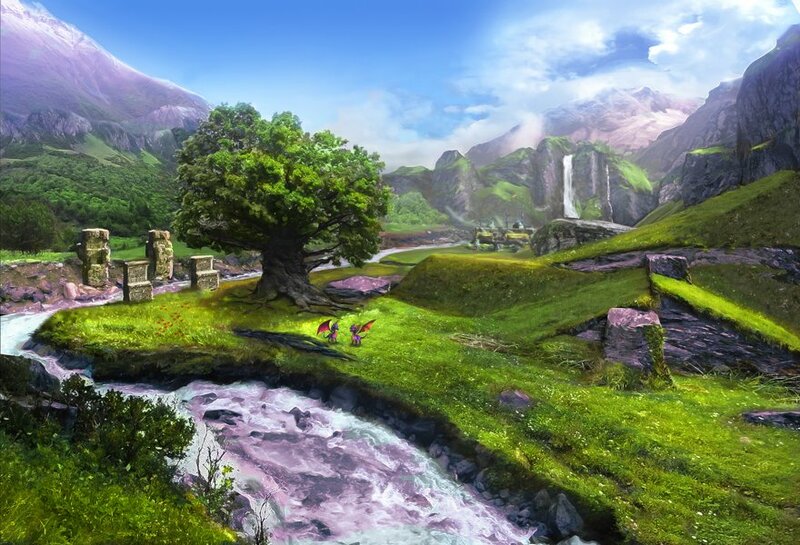 Edisrevir and the Valley of New Avalar have sided with the Combine. In light of recent events and the military encampments of other nations, we have your safety at heart and as such, the city is now effective immediately, under lock-down conditions and protocol applies. There will also be a curfew from dusk to dawn. This is your first and only official notice. We must fight as one lest we perish alone. NOTICE: AS OF 708 LUNAR CYCLES, THE PREVIOUS NO LONGER APPLIES. "Hear my sons and daughters of Avalar! The Fourth Era is upon us. Time changes as swiftly as the wind changes direction. But we are the people of Taell’as. We can build mountains, shape them and destroy them. Our name alone overpowers and tames the sea, force our will upon it to do as we see fit. The air is not untouchable. Nature bends its knee to us, the patrons of the east. We control the air currents and thus, the future. Our future. The glorious morrow, lead by our shining sun! So, ask not what tomorrow brings, but ask how you bring the day. What will you bring? How will we bring it? Tomorrow is long gone, but not forgotten. Forever written in stone. Proud are we of our history of progress, something that cannot be halted. So as we peer out onto the horizon, hands extended in friendship to greet our shining orb of glory, know this: The Taell’as will be done." Guild Pickaxe is the Taell'as Hierarchy's largest mining organisation and has been honored as the official ore extraction group of the Hierarchy. It's headquarters are based in Taersus City. Voronezh Mine was a Guild Pickaxe-controlled mining base and most technologically advanced mining operation in Avalar until the Inquisition 'acquired' ownership in 702LC, nine years ago. The Inquisition converted it into a secret haven of training and study - Kovorok Academy - for their top students until all contact with the mine was lost in 710LC. A civilian found the base in a neglected state and shortly informed authorities. All information regarding Kovorok Academy is either classified or lost. Taell'as architecture is naturally formed around curves and the slopes of the landscape. Primarily constructed from wood, it makes up for the large scale of buildings, efficient construction times and malluability in matching the natural world. Commonly built with a second story, upper floors are wider than ground floors to conserve space for the vast road networks of the Hierarchy. The end result is a majestic mix of imperfection and order, strong large buildings that represent the equaly solid foundations that make up the resource-hungry Taell'as Hierarchy.